Get 88% off the StudioMagic Photoshop Plug-In Bundle. 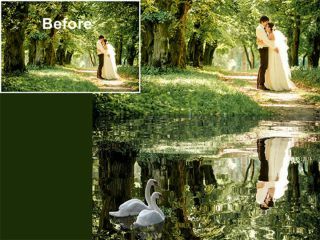 Photoshop is the not-so-secret tool for photographers looking to make their photos truly shine. This powerful app is the ideal program to enhance your photos to make them social media ready – and the StudioMagic Photoshop Plug-In Bundle can add even more tricks to your toolbox. Get this must-have bundle on sale now for 88% off the retail price. For the photographer in need of an upgrade to their current workflow, the StudioMagic Photoshop Plug-In Bundle has everything they could need. These plugins make tweaking and improving photos a breeze. You'll be able to adjust backgrounds and shadows, cut out subjects quickly, use composite presets to give your photos a new look, and complete composites in a single click with StudioMagic's powerful tools. Add reflections, change seasons, add birds, snow, lightning, clouds, create stunning sunsets, light rays and dozens of other effects. The StudioMagic Photoshop Plug-In Bundle is valued at over $446, but you can save 88% off that price. That means you pay just $49.99 (approx. £37) for a package of tools that will make your photos sparkle. Don’t pass this up, grab the StudioMagic Photoshop Plug-In Bundle today.